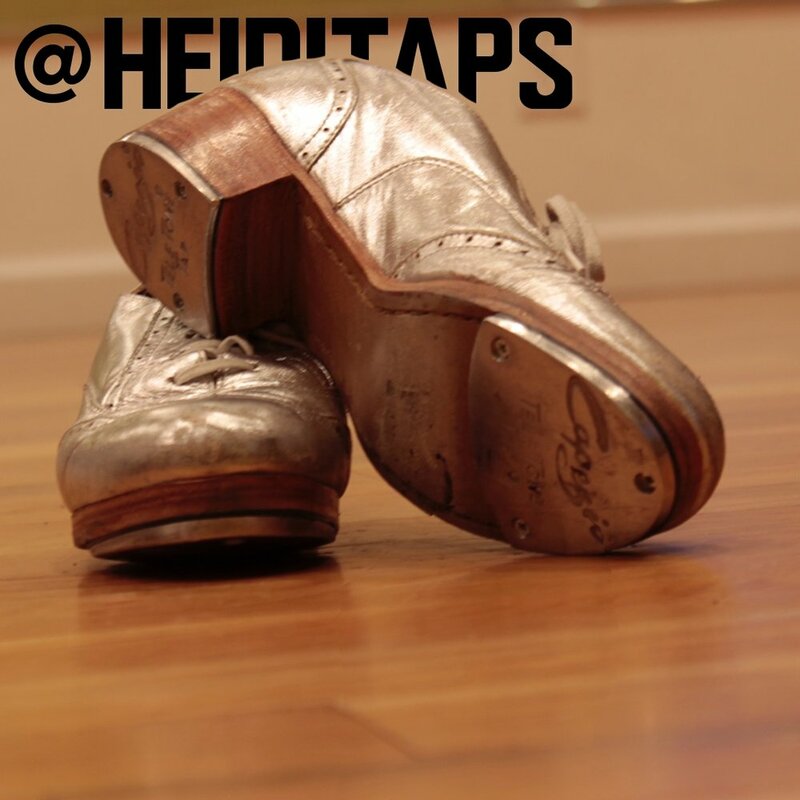 HeidiTAPS offers tap dancing lessons and classes to students of all ages and levels of experience in the city of New Orleans, and surrounding areas. Our mission is to celebrate, promote, and preserve the art of tap dancing in the birthplace of jazz. Emmy Award and Big Easy Award Winning Heidi Malnar leads tri-weekly classes for adults and teens in the Uptown and Bywater neighborhoods of New Orleans. Heidi is also available for private lessons, choreographic and teaching residencies, and master classes both in tap dancing and rhythmic analysis. Rhythm is a universal language, and tap dancing is accessible to people of all ages and levels of experience. We offer classes year round with the hopes of engaging our unique musical community in shared rhythm-making and dance. Honey Hips Yoga provides a method for self healing by connecting breathe to body and mind. Vinyasa flow is a great way to get in shape and heal chronic pain; ALL LEVELS & AGES. Mother-Daughter team teaching weekly Zumba classes! Drop in is $7 per person. 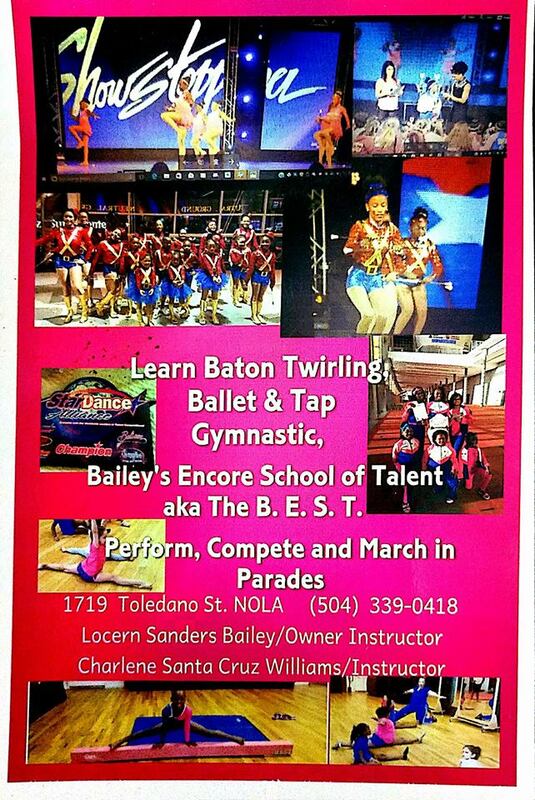 New Orleans Colorguard Arts (NOCGA) offers classes and workshops in dance, fitness, and flag spinning around the New Orleans area. Founder and Program Director, Jakki Kalogridis, began her dance training at the age of three at the Ballet School of Chapel Hill in North Carolina, and studied dance at UNC-Greensboro. In April, she choreographed and produced her first evening-length concert for NOCGA at the Marigny Opera House entitled “Emergence.” After a long summer of instructing a touring group and attending a professional choreographers’ workshop, Jakki is very excited to be back in NOLA and teaching classes again! Join Jakki for this 1-hour class focused on Modern/Contemporary Dance Technique, combining concepts gleaned from Limón and Release technique, and a passion for moving to music. This class is at an Intermediate/Advanced level and is recommended for dancers with some prior training. $15 drop-in rate. Knee pads or clothing that covers the knees is recommended.